Ice Tech UK were contracted to undertake the specialist ice elements of the internal refit and were subsequently employed as consultants to inspect and assess the existing cooling floor system. 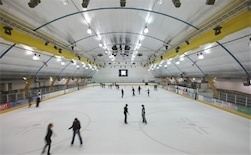 Ice Tech UK were contracted to undertake the design, supply and installation for refrigeration plants, Mitra Ice Grid cooling floors and desiccant dehumidification unties for both the existing full size ice rink and the new curling rink facility. The Oxford Ice Rink refurbishment saw the venue benefit from new refrigeration plant, perimeter rubber matting, changing facilities and a new Sport Systems Unlimited Pro Series dasher board. 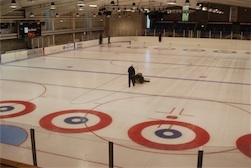 Ice Tech UK were contracted to undertake the specialist ice elements of the internal refit and to design, supply and install a complete dasher board system meeting IIHF standards, complete with bespoke curling stone store access.